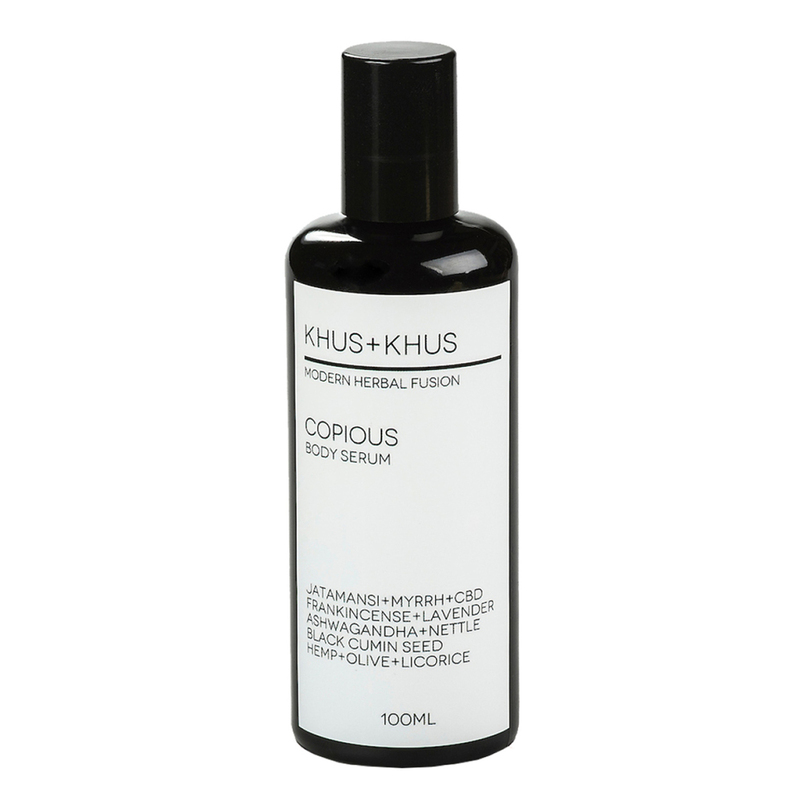 Copius Body Serum by KHUS+KHUS provides an array of Ayurvedic + Western holistic herbalism in one bottle for a sensation of healing for the body and mind. This serum reduces feelings of pain and inflammation in the body, and promotes a sense of relaxation and rejuvenation. Apply liberally to body, long strokes toward the heart. Can be reapplied throughout the day as desired. This serum is SO GOOD! I highly recommend it if you do and kind of strenuous workouts, it soothes and recovers muscles like no other! It is also intensely hydrating and my skin soaks it up like a delicious moisture blanket. I notice a major difference since incorporating this product into my bedtime routine. I popped the roller ball off though because i lather it on! I give myself a little mini massage and wake up with fewer achy muscles. I look forward to trying more Khus Khus products, thank you Beauty Heroes! CBD therapeutics for healthier joints! I love this serum so much my mother and I keep an extra bottle on back up for our chronic joint pain. It's an almost immediate pain reliever for my acute dislocations, and I've done several full body massages with this after hard yoga practices and literally felt like a million bucks! We'll defiantly be life long users, thank you so much Kristi for this healing formulation!